After a beautiful week of sunshine and blue sky, this is what greeted us this morning. March came in like a lion and is going out like one too. However, it is not laying on the roadways. They are only wet. 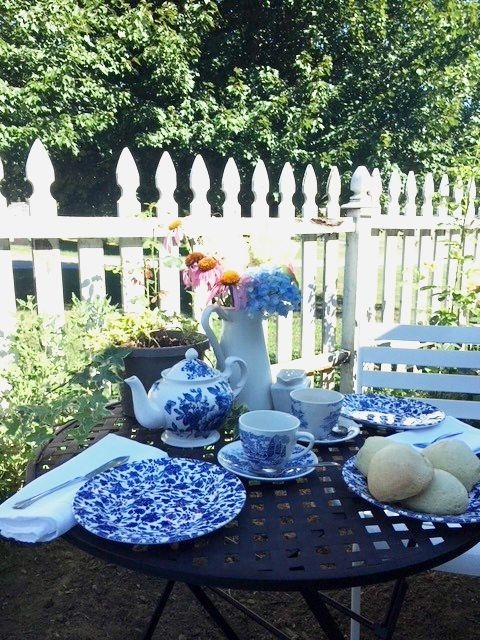 Spring is here, though, and we are very happy about that! I brought home a few spring plants to brighten things up around here. I go to our local orchard's market for apples and because I spent a certain dollar amount I got to pick a free spring plant! They were only $2.50 anyway, so I bought two more! After they die back I can plant them in my garden! I have them on the table in their paper wrappers still but I think I will use my wooden trough and make a centerpiece with them in it. 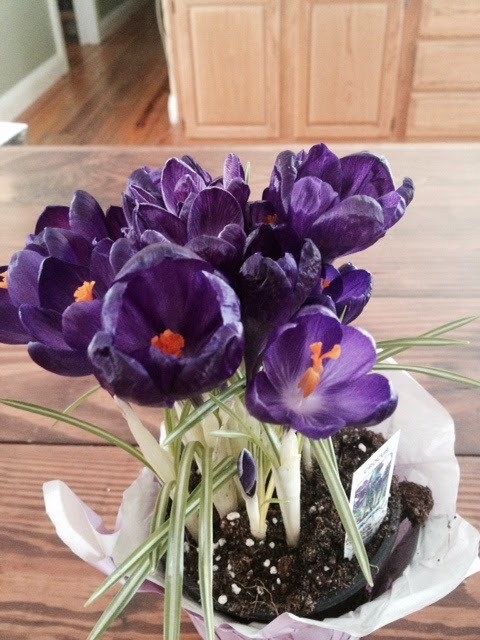 I love the deep color of these crocus. The mini daffy's are so sweet! My Mother Fern ( I got on our anniversary, you can read about that here) is growing so well, I had to repot it already! 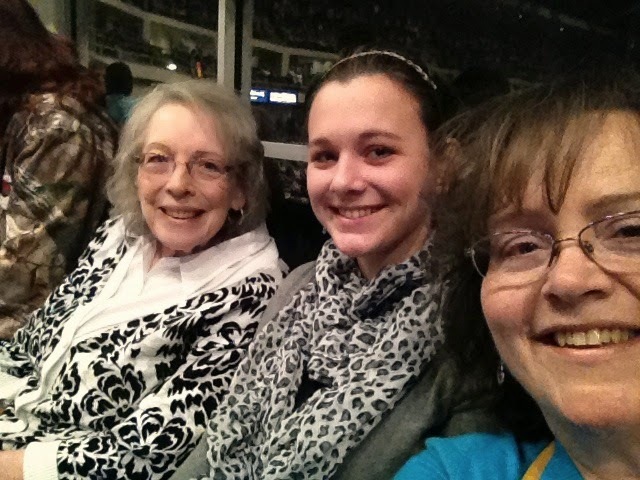 Last night, my Mom, Rachel and I went to Hershey to see Chris Tomlin's Love Ran Red tour! It was great! We had really good seats straight in across from the front of the stage. Here's a photo so you can see where we were sitting. A band from Northern Ireland called Rend Collective played first. They had a great celtic feel to their music! They like to call themselves a worship or celebration band. I thought their lyrics were so good. All three groups - 10th Avenue North played as well, had mature lyrics to their songs and real truth about God. I like that. They highlighted a ministry, called Cure, last night. They are doing great things for kids around the world. Check them out at Cure.org. So how did you celebrate the first day of spring? That must've been a wonderful concert! It looks like you were all feeling blessed. Beautiful Spring flowers too. The desert wildflowers are blooming now. It's very pretty. Hey sweet friend! It was a wonderful time, together with my mom and one of my girls. Great to be in a place full of people lifting up the name of the Lord! Wow, I heard more winter was headed your way but I like that you noticed the streets -- so it won't be around for long. We had a winter day today too. My GD got out of school early so we had a special treat -- I think you can guess. We enjoyed it thoroughly. What a great selfie of you three! Your mom is looking fantastic...so skinny! Always fun to get out for an evening of music, especially meaningful Christian music. A very nice way to celebrate the start of spring with beautiful spring flowers. Yes, some snow showers for us tomorrow...hope that it's the last of it. And I hope that it's the last of it for you folks, too. Enough already! There was snow here this morning too. I met my friend Joanne for coffee this morning and I was afraid I was going to have to scrape my windshield, but the wipers took care of it. We've still got winter in New York, but I am hoping, hoping and hoping for a sunny day tomorrow. Can't wait to see the first shoots coming up. What a fun evening when three generations can go out and enjoy some music. The potted spring bulbs are just coming in to our stores now so I'll likely purchase some too - they sure give one a lift. It's been lightly snowing here all day but I'm not sure what it will amount to.